Experience the fascinating history and rich culture of Hanoi, the former capital of the Socialist Republic of Vietnam, on this all-day guided tour. After a convenient pickup from your cruise ship port, travel by private air-conditioned minivan to Hanoi and see Ho Chi Minh’s burial place, historic pagodas, and important museums. 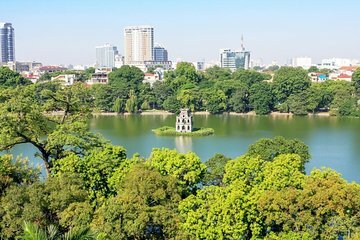 Enjoy a delicious lunch in the city’s Old Quarter and take a stroll walk the beloved Hoan Kiem Lake.